As an opportunity to work with a few churches and the Kiev Theological Seminary, I am going to Ukraine in just a few days. Specifically, I am leaving on the morning of December 6th. Arriving in Kiev on December 7, 2012, I will then go to Poltava and arrive around 8:30pm (Ukraine time) which is 1:30pm Friday afternoon. If possible, I will contact my family via email shortly after I arrive in Poltava. After a few days, I will leave on a train from Poltava to Lviv. 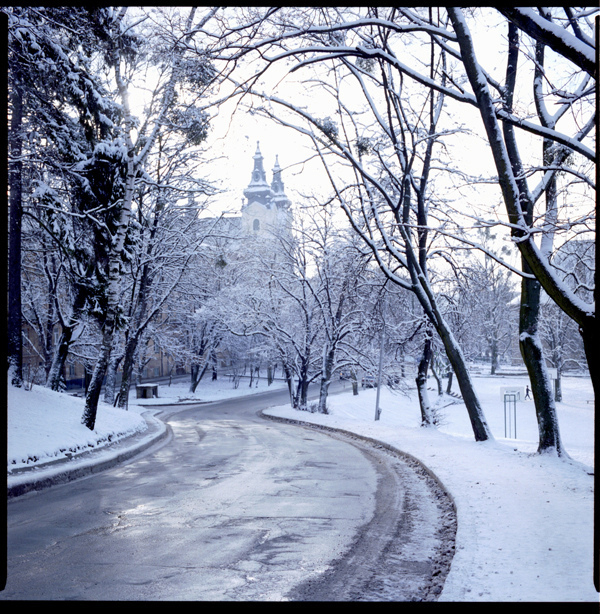 An image of winter time in Lviv is shared here just to give an idea of what the weather is that I am headed into. Along with my meetings with pastors and now some planned seminars for Active Learning Strategies that I will teach, I also hope to do some landscape photography of the gorgeous winter scenes that can be captured. Similar to the photo here, the opportunity to photo snow on monasteries will be great. Kiev, the capital of Ukraine, has had a number of snow falls already. Lviv, as well has experienced a number of snow showers in the past week and will have more during my time of arrival according to the forecasts. At the Kiev Theological Seminary, I am hoping to make connections for my church to participate in a missions trip to assist evangelical churches in Ukraine. The International Missions Board has sponsored a portion of the work at the seminary. The school of planting churches is sponsored by the IMB. After returning to Poltava from Lviv, I will be teaching a few seminars on Active Learning Strategies. This allows me to share my knowledge and practice what I like to share with other teachers. This trip may be the opening of missions opportunities for my church; however, the teaching aspect of this trip may be the conclusion of Lee University’s connections to the Pedagogical University. I certainly hope it isn’t, but that is just how things may go. Are teacher more like doctors – or used car salesmen? Dana Goldstein‘s piece in the American Prospect, “The Test Generation,” presents a fascinating and disturbing juxtaposition. On one side is Harrison School District 2, a Colorado Springs-area district of about 17,000 students. School officials there recently set up a pay-for-performance scheme where “performance” means improved test scores, even for subjects like art and P.E. Godstein opens the story with a description of such an art test. Read the rest …at Getting Schooled.